It will also be seen that the quasi-military offices such as "Postmaster General" were NEVER part of the lawful government of the actual United States and have instead existed in the Territorial United States and Municipal United States -- that is, in international jurisdiction of the sea prior to the Civil War and afterward usurped upon the land as part of the Territorial United States' administration. But if you don't know that there are three versions of "United States"--- our version, the Territorial United States and the Municipal United States (both of which routinely just refer to themselves as "the United States" also) --- it's nigh on unto impossible for people to wrap their heads around which entity and which offices of which entity you are talking about. This is just another example of "similar names deceits" being used by lawyers to create deliberate confusions and wrong assumptions and keep us all at each other's throats and unable to square off and deal with the actual problem. One group of people, hated and feared from Massachusetts Bay to Virginia. And still they were permitted co-existence with the colonists. thereby it was hoped that they would perish. Four years later Virginia followed the example of Massachusetts Bay, and for a while it seemed that the dilemma had been resolved. In 1680, after twenty-two years, the despised ones were readmitted to the colony on the condition that they be subjected to the strictest surveillance. You see, the “vermin” that once infested colonial America, the parasites who preyed on the misfortune of their neighbors until finally they were officially banished from Virginia, those dreaded, despised and inevitably outcast masters of confusion were - LAWYERS! I have a copy of a The unanimous Declaration of the thirteen united States of America. I noticed in original state constitutions it is handwritten clearly "agreement with United States" So maybe I am not seeing this clearly but other writings as well indicate that the States of America is not the United States and entity created to assist and do certain limited business for the States of America. Where is there any title or deed describing the metes and bounds from sea to sea etc of any land or country called the United States? Most likely songs like America the Beautiful, Star Spangled Banner, Pledge of Allegiance and writers have created this idea. A clever ploy but the corporate United States to make everyone think it has become the new monarchial power, a central tyrannical authority just as was detailed and corrected for by absolving and dissolving it, with the people sharing the sovereignty previously used to shove the business of the elite monarchs and friends of devious nature, down upon the colonies by the Declaration of Independence. The United States has been a thing much like the European Union seeking to gain power over independent states, creating a false idea that the entirety was all one under one central power. read this it will tell you exactly how it was done similarly all over the world. its not false and it has been done legally all over the world. you just have to know how so you can "come out of her my people." I wonder how long it is going to take this person to realize that pope Anna is infallible and her prophet Paul are two peas in the same pod!!! If you don't believe it, ask them!!! What, no rebuttal!!!??? Let's see how much stinky "shinola" Anna can throw at this. Personal attacks how Saul Alensky, rules for radicals of you .lay down some dated events to support you slanderous talk. Believing everything anyone tells us is EXACTLY how we allowed ourselves to get into this horrific mess! Listen, think and do your own research! William Penn jailed and the judge demanded a guilty . The jury refused they were denied food and water finally jailed.the founding father had great contempt for judges and they were only permitted to rule under 50 dollars . Otherwise trial by jury. And the 13 th ammendment to band foreign agents acting as bar attorneys . The jury used the power of "nullification". Today, a defendent cannot even mention that word in a court room! you must tell the judge that it is not lawful to practice law from the bench and enquire is it he that has a claim against you? if he continues you must tell him to recuse himself as many times as necessary and have an affidavit of bias and prejudice ready if you have let it get that far. honestly, if you have let it get that far then you really do not know who you are and you are challenging them - at war with them which you should not be. preferably you should have the case dismissed (motion to dismiss frcp 12 b 1, 2, 3, 4, 5, 6, 7, and your state annotated code to match) before that point if you really know who you are and not justfy ANY cause of action... it is only your controversy that allows the administrative or legislative court any jurisdiction at all. First of all I dont care if you call it "Trial by Jury" or "Jury Trial", because you have missed 3 important words after that that describes what the true jury should be comprized of to give it legitimatezy....a jury "of his peers". Thats what has been lost. Never does the constitution refer or define "peers" as complete strangers to a "defendant" they have never meet or known their whole life. "Peers" back then referred to people in his own community who knew the defendant personally and could attest to the nature of his character. Otherwise, it easy for any stranger on these jurys today to automatically convict the defendant before even hearing the evidence. The mindset now goes something like this.."why is this person being charged if he isnt guilty of something". In other words, the defendant is constantly trying to prove a "negative". "Guilty" until be proven innocent. Instead of "innocent" until proven "Guilty". Almost immpossible to defend against. To top it off, most people either hire attorneys, or use a Public Defender, both of whom are also complete strangers to the defendant and who have dealt with many liers already. Why should this defendant be any different. Thats why the hated attorneys so much back in those days. Because the constitution ONLY talks about "Conselors" not Laywers and attorneys. Council means anyone in the community who could represent the defendand (like a good friend) without pay, to ensure the defendant s got the full benifit of the doubt. Back in those days, people thought it reprehensible to take money from a defendant he personally knew of , making it synonamous with "unjust enrichment" of his friends and community. How in the world can anyone be my peer when they cant even answer the easiest questions about the constitution or law. I only had one case that lead to a jury trail. And my first question to the jury was the most basic of understanding the constitution..I simply asked anyone to raise their hand if they knew what the first 10 amendments to the constitution were called. Not one person rose their hand. I couldnt believe this. Not one person could tell me that they were called "the Bill of Rights". I looked at the judge contemptually as he just shook his head as if to say....it is what it is. Theres nothing i can do about it if people want to remain ignorant. For me, that was testament of how the system got so powerful. People either dont care at all about law and their inheritance or they want to be paid to study it. I have friends just like that. He told me he doesnt or wont study anything unless hes paid for it...RIGHT!! These jurys today are imbecles. We could never empanal a jury of our peers in this system. They dont exsist..The jurys today are no help to us at all. In fact, they tend to hate us right from the start because they dont understand what we are talking about.Just like this site. The average person seeing this site would simply dismiss us all as mental patients. Guilty as charged. Next case...!!! they are persons, 14th amendment citizens. another little play on words is emapanel a jury, look up the word jury with some 1800 dictionaries and you will see many times they are speaking of 3 or more judicial peers such as the supreme court or appellate court with 3 or more true judges. Grand Jury typically has "people" 12 or more which is why jesus had the 12 disciples everywhere he went. One fact Lincoln unlawfully changed the jurisdiction , coined money unlawfully , waged war in reality an attack of northern agression, jailed anyone who protested . He's the one who ushered in British maritime law. some would say was at least half black, watch the movie where they say his hair is wirey unlike most white men, started the violation of the original 13th amendment (no lawyers/titles of nobility) and started the executive orders via his buddy, lieber and his codes, which is why obama cherished him so much in the beginning remember? obama knew it would end with him just as it started with lincoln. 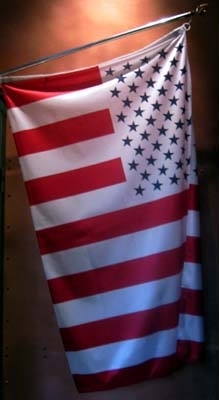 time for the Republic and the United States of America. Trump is the battering ram to catapault us back into the Republic. Unfortunately, even Trump refers to Lincoln as a great and intelligent man who faught for freedom and end "slavery" of both blacks and whites , after he was told by the banks after the war was over,which was now bankrupt completely as a country, that they would refinance the country immediately and make it solvent again, no problem, but at 30% interest. That was the second time he asked the banks for money....once before the war ended (because he already bankrupted the "North" and could never win the battle without a cash injection that could last long enough ...another 2 years...to win the war effort) and again right after. And both times he denied the loans for the same reason...they wanted a totaly unreasonable amount of interest. So high in fact, that he was quoted as saying.." I didnt start this war to end "black slavery", only to enslave everyone by the banks. But thats exactly what happened. Because it turns out that even Lincoln had no clue about the difference between "REAL MONEY", and "CURRENCY"(Commercial Instraments), which are only IOU's. The only thing Lincoln(honest Abe) was familiar with was money that had real value because it was based on substance(gold and silver). But he should haved, because his solution to finishing the war effort was given to him by his own tresurer. Hes the one who suggested just to print his own "NOTES". But Lincoln's responce to his treasurer was "We can do that".?? But if it isnt backed by anything wont the people know it. And his tresurer simply told him, if the people see you using it, Mr president, they will too. And hence, the "Greenback" was created, and used successfully to finish the war. Of course, being honest Abe, he cancelled the Greenback right after the war because he thought it was fraud. But when he asked the banks again for another loan of real money, thinking he now had the advantage to negotiate a better interest rate, the banks said its still at 30% interest. Thats when he told the banks what he was going to do , so he wouldnt have to ask them for loans anymore...that he would just simply reinstitude the "Greenback" again without any interest. That statement would lead to his immediate death. The banks couldnt take a chance like that, even if it was meant as a bluff. They didnt want America to have control of its own currency ever again. That was the whole reason and purpose of creating the "slavery issue in the first place by the banks. true, but he was the one that also initiated the current dilemma and many of his actions still stand today for the cabal so by his deeds it shows that either he was cleverly manipulated or was aware of his actions and the affects it has had and their negative consequences. The 2 greatest enslaving amendments 13th and 14th were in that period. Even when they passed the 13th amendment, the senator said he did not believe in equality of men but rather equal protection under the law obviously of persons. have even read that he may have been mixed in with rothschild blood or something to that extent. So you claim libel, over a post master general office. That sounds like threat for disagreement . So much for freedom of speach . I say so what it's not important how about the deep state creating falce flags , using corperate statuary law to turn america into a police state . Do you have a dog in the fight ? Where is the evidence of this claim? It's everywhere!!! Look all around you! Look at your birth certificate, drivers license, mortgage documents, social security paper work, bank statements etc........even the stop sign at the end of your street is private law. Only the unaware can't see the forest because of all of those dam TREES. I would love to get my hands on a copy of articles of incorporation or see mention of it within some US publication. These types of documents would go along long way if not all the way in satisfying the burdens of Proof to claims made, when talking to the unaware. Public Law 94-241 also the Organic Act of 1871 it shows the incorporation of the District of Columbia DBA United States. 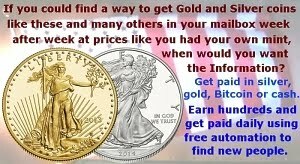 get certified copies, and you are golden, from the archives easy to do.